The whole idea behind coming up with this new section on “Zero Oil Rotis and Parathas” is not to totally preclude the intake of oil and ghee from your diet but just to restrict it to the prescribed limit per day and help balance your daily calorie intake. By including a zero oil subzi and roti as one meal in your daily diet, you can curb the intake of excess fats and calories. This helps you to enjoy both your favourite dishes and good health without worrying about an increasing waistline. Explore rotis like Ragi Roti, Bajra and Cauliflower Roti, Oats Mooli Roti etc. and enjoy parathas like Tandoori Paratha, Besan Paratha etc. Cooking these rotis and parathas on a slow to medium flame is the trick so they cook well uniformly and remember to serve them immediately to avoid becoming chewy. We hope you enjoy our other Oil Free Sections listed below. A healthy combination of 3 flours with tur dal makes this a real star recipe! 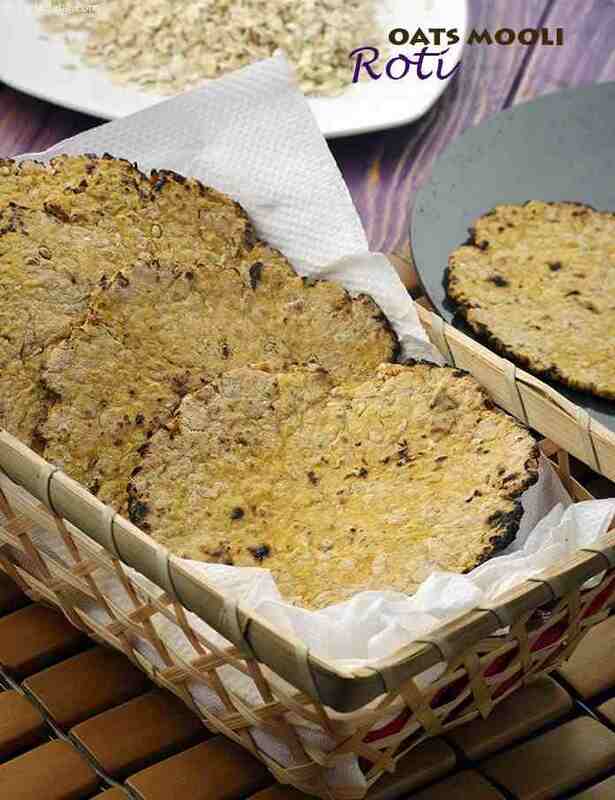 Tur dal not only enhances the flavour but also adds vitamin B complex to these Rotis. Garlic adds its unique flavour making these Rotis a real pleasure to the connoisseur's taste buds.